Check out part one / part three. Almost immediately after his assassination, Pasquale Gallo was announced as the new chairman and director of the Alfa Romeo company. Gallo was appointed to the position to demilitarize Alfa Romeo. In his role as director, one of the first (and most significant) decisions that Gallo made was to appoint Orazio Satta Puliga as the head designer of the company. 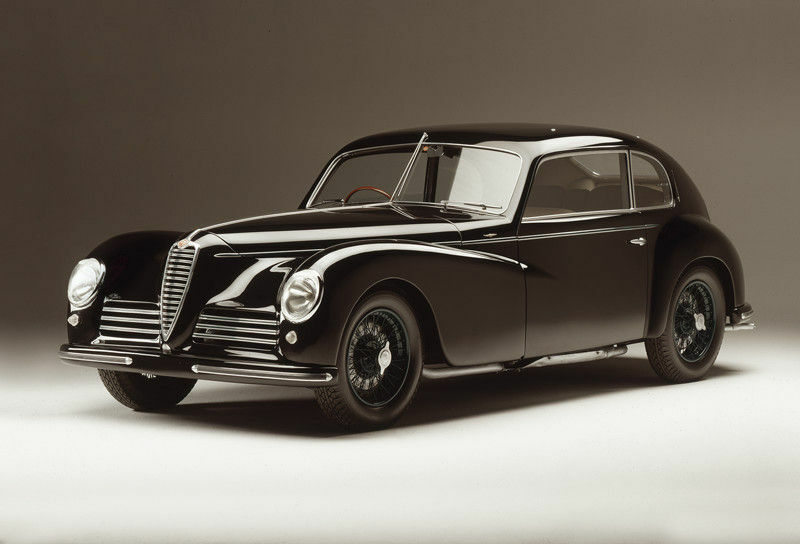 With Orazio Satta Puliga at the helm of design, Alfa Romeo began development and production of two new automobiles that would represent the very best of post-war Italian automotive design. 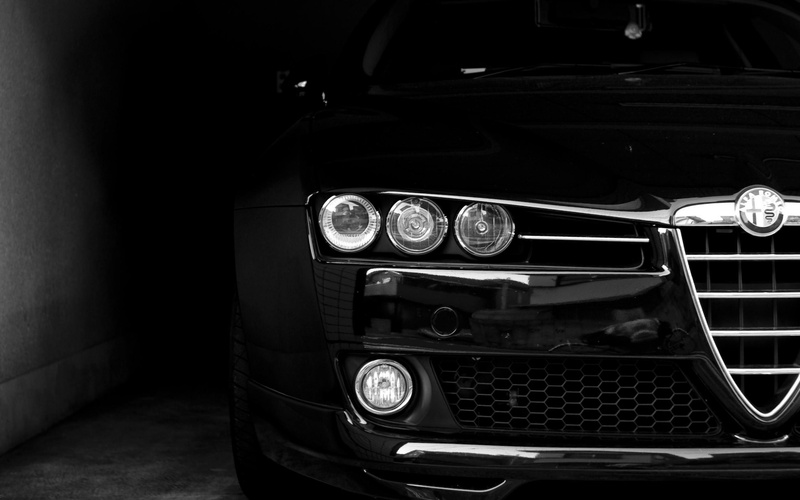 These vehicles would epitomize the sophistication and class. 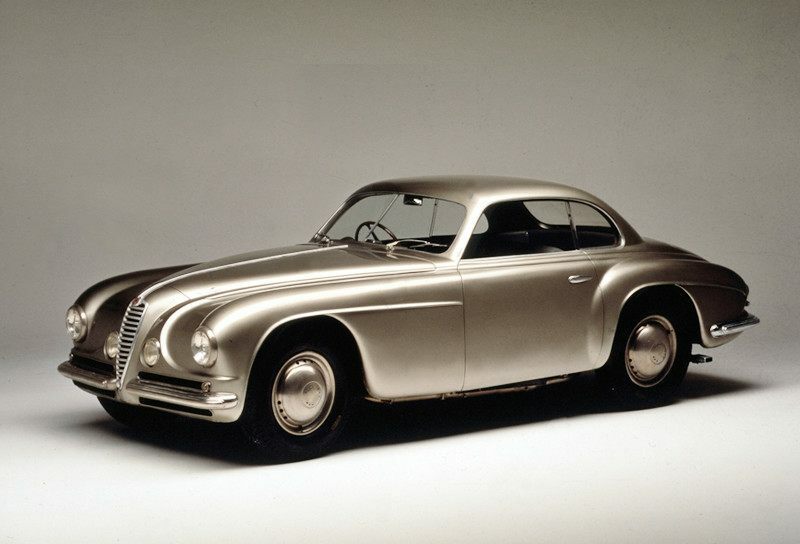 The first of these vehicles – the Freccia d’Oro (the Golden Arrow) – was a version of the 6C 2500 Sport. The car featured a Berlina bodystyle with 5-6 seats, a 4-speed manual gearbox, a 90 horsepower (67 kW) engine, and an abbreviated, rounded tail. A total of 680 of the Frecca d’Oro were built between 1946 and 1951. The second of these vehicles – the Villa D’Este – was so named after the Competition of Elegance (Concorso d’Eleganza) which was held every year on the shores of Lake Como, Italy. Alfa Romeo’s Villa D’Este was the Super Sport version of the 6C 2500 Touring. It took top prize at the venue. While Ozario Satta Puliga recognized that the elegance of his earlier designs would draw much needed attention to the Alfa Romeo company, he also understood that the company’s longevity would require the ability to produce a quality automobile that was also affordable to middle-class consumers. Based on this understanding, Puliga developed the 1900 automobile, which he considered to be the ultimate choice for the middle class. First, it was an important development for Alfa Romeo as it was the company’s first automobile built entirely on a production line. Second, it was the first production car built without a separate chassis. Third, it was the first Alfa Romeo offered with a left-hand drive, a significant milestone for commercial success in U.S. markets. The Alfa Romeo 1900 was introduced at the 1950 Paris Motor show. Available in both two-door and four-door models, the 1900 featured a four-cylinder, twin-cam engine. The car had a spacious interior that was straight forward but still well appointed. Moreover, the car was considered quick and sporty. The slogan that Alfa Romeo used when advertising the car was “the family car that wins races.” The slogan was appropriate enough, as the car had been raced at the Targa Floria, the Stella Alpina, and other competitions. The car did offer great performance to consumers. Given Alfa Romeo’s decades-long success on the racetrack, along with the allure of a sporty vehicle at a competitive price, the 1900 did very well commercially, selling a total of 21,304 units between 1950 and 1959, including 17,390 of the four-door saloon model. Even with a focus on developing affordable yet desirable production vehicles, Alfa Romeo continued to recognize the importance of winning performance on the race track. 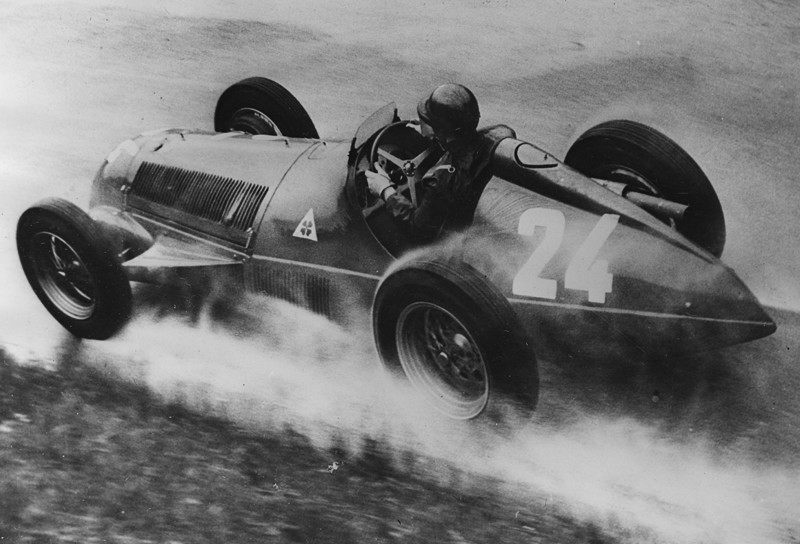 Fangio’s precise driving style and flair for spectacular performance on the racetrack left no room for the competition. His performance in the 159 Alfetta continues to be one of the great examples of racing excellence today. In early 1951, Giuseppe Luraghi, the then General Manager of Italy’s Finmeccanica Group, took control of Alfa Romeo as acting president of the company. Luraghi, who had been hired a year earlier by the IRI as the director of a hydroelectric plant in Piedmont, was selected for this post to aid In growing the Alfa Romeo company to even greater levels of success. 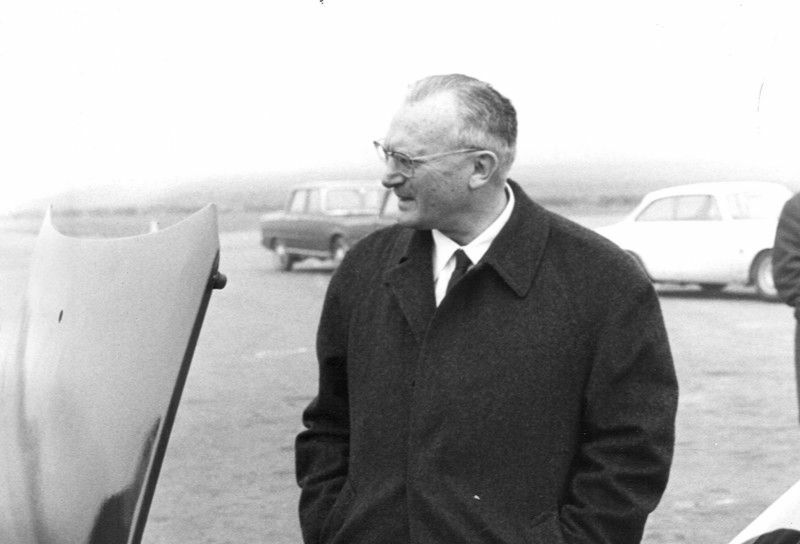 Although Luraghi would remain involved with Alfa Romeo from his appointment in 1951 until 1974, his would be best remembered for aiding in the development of the Giuletta – arguably one of the most famous and best-loved of all of Alfa Romeo’s vehicles. The original Giuletta was actually designed by Gruppo Bertone, an Italian automobile company which specialized in car styling, coachbuilding and manufacturing. Gruppo Bertone, or Bertone as it is more commonly known, was not new to developing distinctive automotive designs. In fact, Bertone was responsible for developing automotive designs for many European manufacturers including Aston Martin, Ferrari, FIAT, Lancia, Lamborghini, Mecedes Benz, Opel, Volvo and others. While many Bertone designs certainly carried with them a distinct “family resemblance” from one another, the Giuletta nonetheless became recognized as a distinct entry into the Alfa Romeo family, as well as an international symbol of Italian creativity. The first Giuletta (Type 750 and 101) was a rear-wheel drive car that was manufactured by Alfa Romeo from 1954 to 1965. The car was initially introduced as the Giulietta Sprint 2+2 coupe at the 1954 Turin Motor Show. A year later, the Sprint was joined by the four-door saloon Berlina. In mid-1955, Alfa Romeo introduced the two-seat Giuletta Spider, which featured convertible bodywork that had been developed by Pininfarina. Pininfarina carried a soft spot for his creation, affectionately calling it “la signorina” (“the young lady”). In 1959, a more powerful Berlina version, known as the Giulietta T.I. (Turismo Internazionale) was introduced. Taking most of its design cues from the earlier Berlina first introduced in 1955, this newer entry featured some minor cosmetic changes to the hood, the dial lights and the rear lamps. 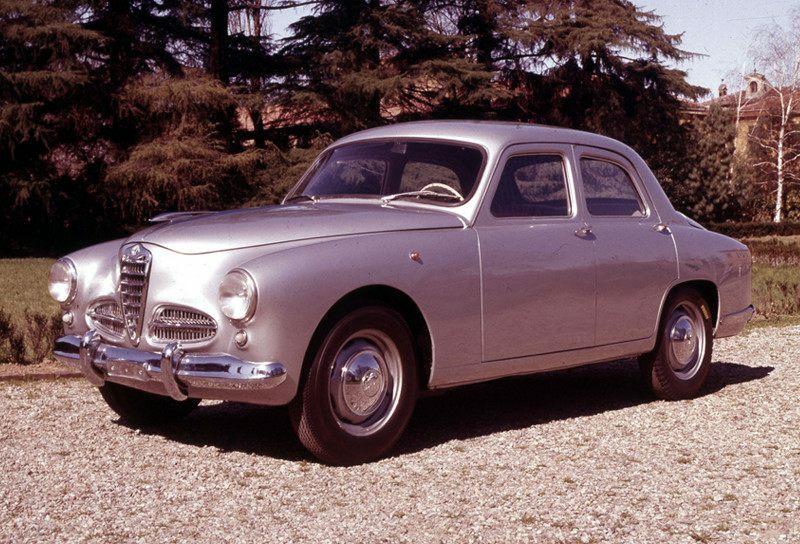 Carrozzeria Colli – another coachbuilder from Milan, Italy – developed a Giulietta station wagon variant which was latter dubbed the Giulietta Promiscua. Ninety-one of examples of this version of the car were built. 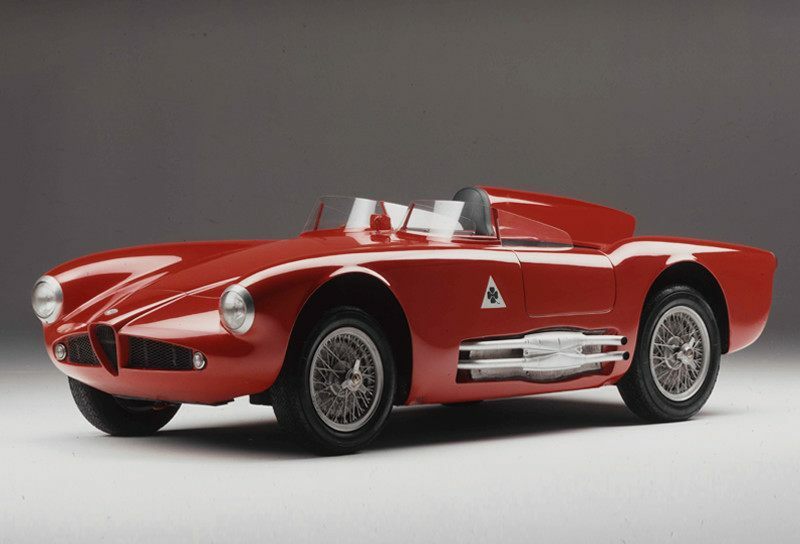 In 1955, despite having abandoned motor racing to focus on development of the Giulietta, Alfa Romeo reached out to automotive designer Carlo Abarth asking him to design a competitive race vehicle for the Italian manufacturer. Abarth, who had been born in Austria but later became a naturalized citizen of Italy, agreed to the request and began work on the Alfa Romeo 750. Using the Giuletta’s light-alloy engine as the foundation for the 750’s powerplant, the engine was modified and its capacity was increased to 1.5-liters, which was the maximum size allowed in the Gran Turismo racing category. Unfortunately, the Abarth 750, as it had become known, as postponed for business reasons, and never evolved beyond the prototype stage of its design. In 1960, Giuseppe Luraghi was named Alfa Romeo’s Chairman. With Luraghi continuing to oversee the operations of Alfa Romeo in this new role, and with the success of the commercial vehicle programs he directly helped to facilitate, the continued growth of Alfa Romeo seemed certain. To facilitate the anticipated increase in demand for their vehicles, Luraghi oversaw the launch of a new manufacturing plant in Pomigliano d’Arco near Naples Italy. 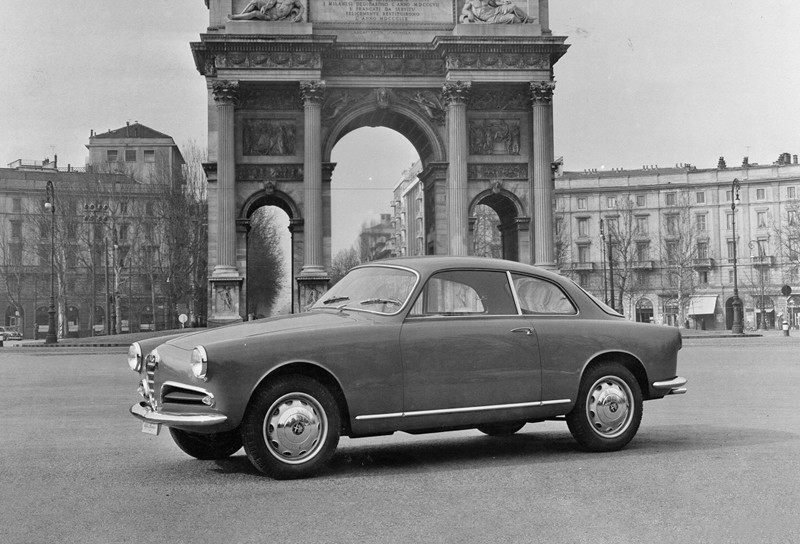 In February, 1961, the 100,001st Giuletta rolled out of the Portello factory. This important manufacturing milestone confirmed Italy’s love affair with the Giulietta automobile. 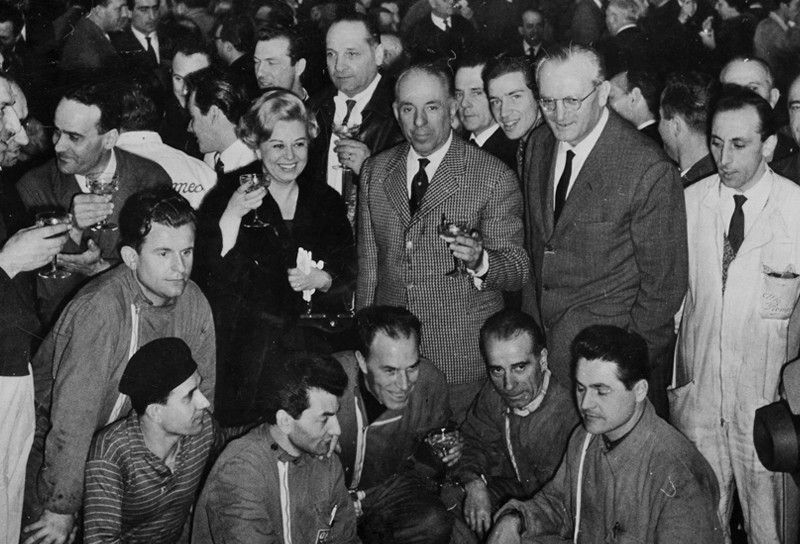 To mark the occasion, the famous Italian actress Giulietta Masina sponsored a special celebration, and shared in the opening of a traditional bottle of champagne to mark the momentous occasion with the acclaimed automotive manufacturer. In Autumn of that same year, the Giulietta received a second design update. A new engine and exhaust system was introduced that increased horsepower as well as the car’s top speed. The front grille received a facelift and alrger taillights were installed. The interior of the T.I. model now featured individual seats instead of bench seats. 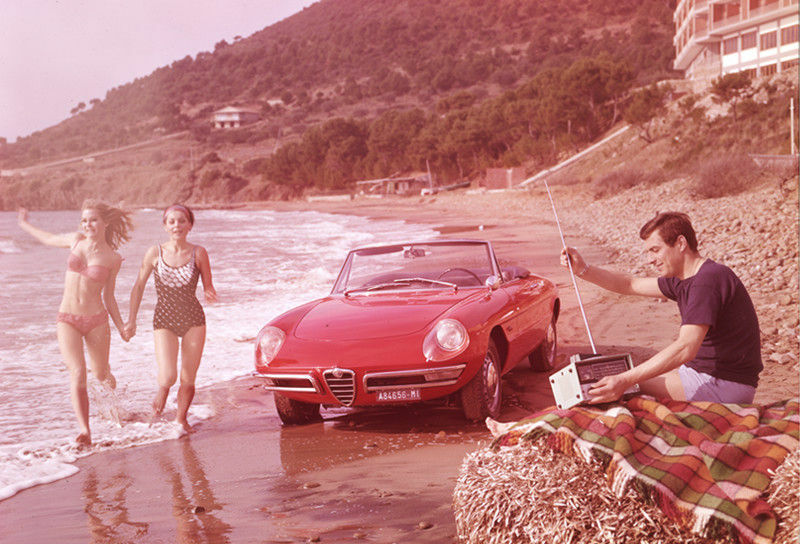 Despite the continued commercial success of the Giulietta, Alfa Romeo recognized that innovation was essential for continued, long term success. 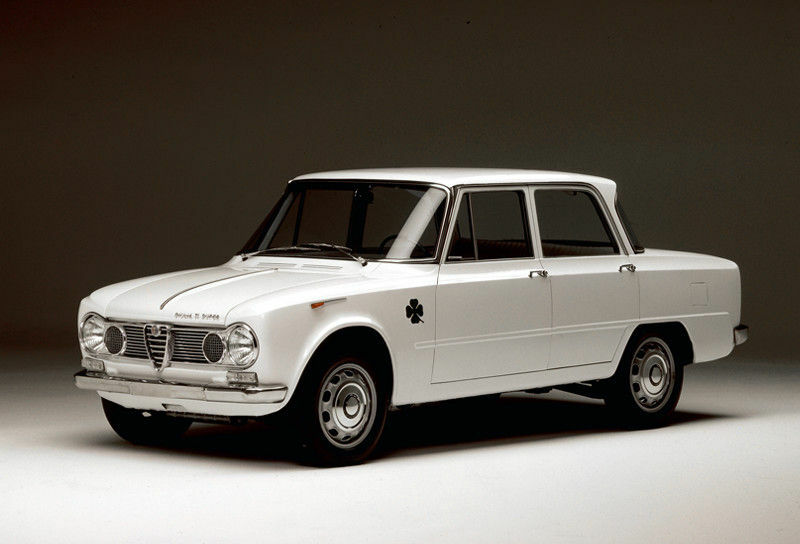 On June 27, 1962, Alfa Romeo introduced the Alfa Romeo Giulia TI at the Autodromo Nazionale Monza. The Giulia, which was identified to the Italian press as a “line of sporty fourt-door compact executive cars,” was designed to supersede, and eventually replace, the Giuletta sedan and saloon models. The Giulia TI featured a larger, 1.6-litre, twin-cam engine producing approximately 91 horsepower (68kW). The car, which weighed just 2,200lbs (1,000kg) would become one of the first cars ever built by a major automotive manufacturer to feature a low weight car with a high-power engine. While production of the Giulia and Giulietta occurred in parallel for the following year, Alfa Romeo had begun the process of phasing out the older model. Production of the standard Berlina ended in 1963, whilst the TI continued for an additional year, with the final TI rolling off the assembly line in early 1965. Ironically, the Giuletta sport models would receive a very different fate. From 1962 to 1964, the Sprint, Sprint Speciale and Spider were all fitted with the new 1.6-litre engine, each received some updates to their overall design, but otherwise remained unchanged, although they were now being sold under the Giulia branding. This practice continued until they were replaced by all-new Giulia-based sport models in 1965. While Scuderia Ferrari and Alfa Corso were divisions of Alfa Romeo’s golden age of racing, the company had since pulled away from racing, despite efforts to develop a new platform upon which to complete. However, in 1963, Alfa Romeo forged an alliance with Carlo Chiti. Chiti had previously worked with Alfa Romeo by designing both a V8 and then a flat-12 engine for their Tipo 33 sports cars. 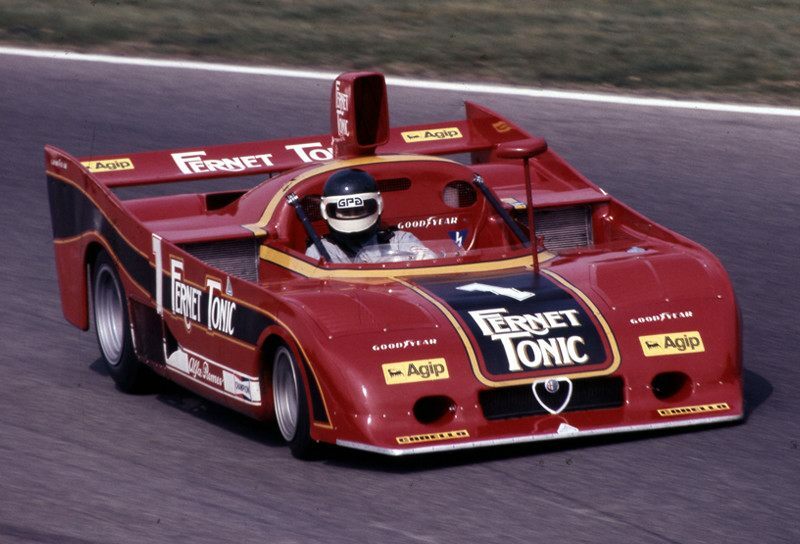 Now, as Chiti worked to rekindle his association with Alfa Romeo, he launched an all-new racing program. Dubbed the Autodelta team, Chiti and his crew were committed to advancing Alfa Romeo’s sporting image and international racing reputation. 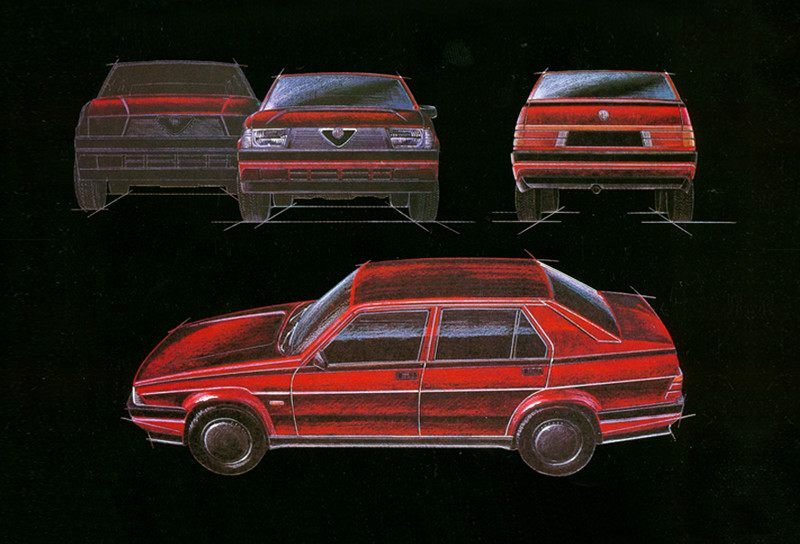 While the Autodelta team achieved varying degrees of success throughout their shared endeavor with Alfa Romeo, Chiti and company nonetheless maintained a successful partnership until 1984. By 1965, Alfa Romeo was once more very involved with motorsport racing. Working directly with Autodelta, which was by then officially known as the racing division of Alfa, they developed a race variant of the Guilia production car. These cars were classified as GTA (versus the standard GT designation), with the “A” standing for “Alleggerita”, which was Italian for lightweight. The GTA was produced first in 1965 as a 1600 series (1570 cc) and later as a 1300 Junior edition. The GTA automobiles were manufactured in either a Stradale (street) or Corsa (race) trim. The car as specifically designed for the Turismo racing category. The car proved to be a fierce competitor on the track. Fast and uncompromising, the car dominated the competition on the racetrack and dominated in back-to-back-to back European Car Championships in 1966, 1967 and 1968. At the same time that the Autodelta team was developing the GTA, Alfa Romeo was working on the development on a new roadster that they intended to market globally. The car – dubbed the Duetto Spider – was introduced at the 36th Geneva Motor Show in March, 1966 and, together with the Guilia Sprint GT Veloce, was test driven by the press at an event organized in the Gardone Riviera. The car was deemed a resounding success, and would go on to become one of Alfa Romeo’s most enduring models. The Duetto Spider earned a permanent place in American popular culture when a special version of the Spider – aptly named “The Graduate” – was sold in the United States after it was featured in the renowned 1967 movie of the same name. The original Tipo 33 race car was developed in the early 1960’s as part of the Autodelta racing division managed and directed by Chiti. While the 33 had form and function, the car lacked the finesse of some of the earlier racers developed by Scuderia Ferrari and Alfa Romeo in the height of their individual racing ventures. 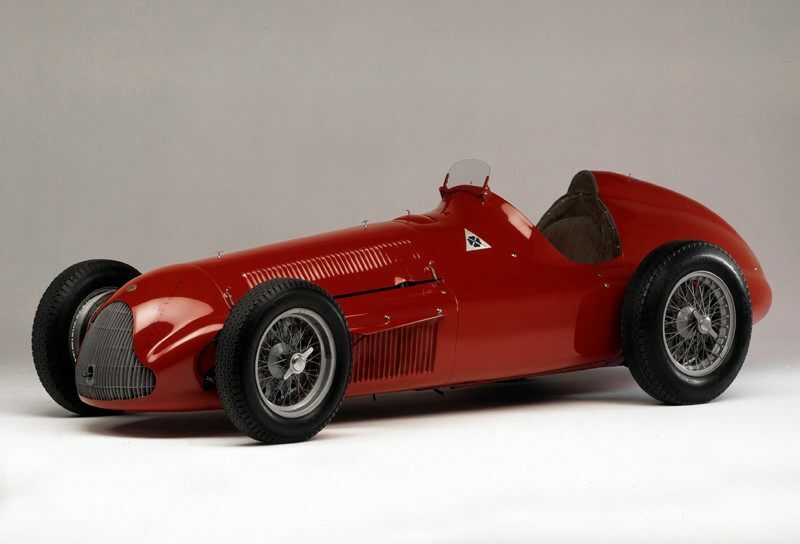 Looking to enhance the aesthetic of the 33/2 racing model, Alfa Romeo asked automotive designer Franco Scaglione to add life and beauty to the mechanics of their racing model. The results of Scaglione’s efforts far exceeded the expectation and imagination of anyone at Alfa Romeo. The new design, known as the 33 Stradale, was a true masterpiece. It was (and still is to this day) considered one of the most beautiful vehicles ever created. 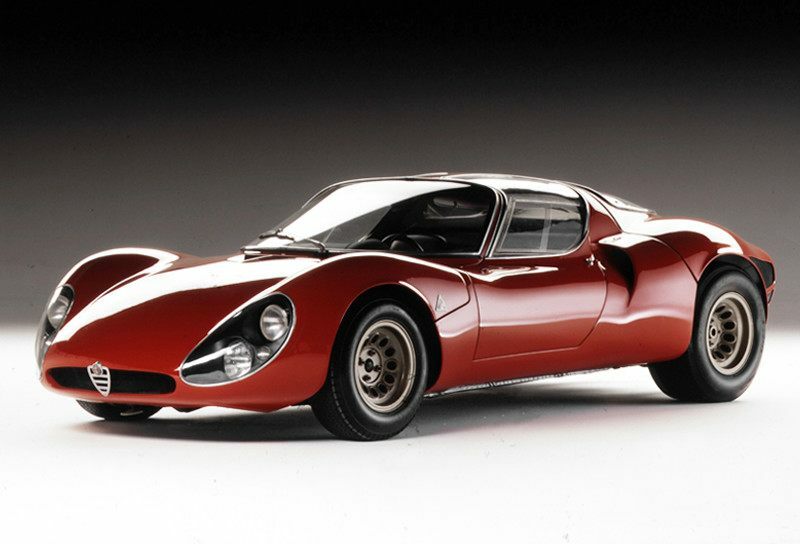 Only 18 of the 33 Stradale were ever produced. The car was perfectly crafted – a sophisticated sports car that blended form, function and aesthetics into an automotive work of art. Today, each of these Stradale race cars are valued at more than $13 million dollars. The car, much like the GT40 did for future iterations of Ford’s supercar, would inspire Alfa Romeo’s modern-day 4C model. The Alfetta (Type 116) was introduced as both a stylish sports coupe and saloon style sedan which featured a front mounted engine and a rear mounted gearbox. This distribution gave the Alfetta perfect weight distribution, a precedent that many other automotive manufacturers would integrate into future automotive designs. The car, which followed Alfa’s formula of engineering a lightweight chassis fitted with a powerful engine, would prove to be a commercial success – selling over 400,000 units during its 15 year production run. The continued success of the Alfa Romeo racers thru the 1960’s and 1970’s was directly attributed to the continual innovation of the engineers developing them. 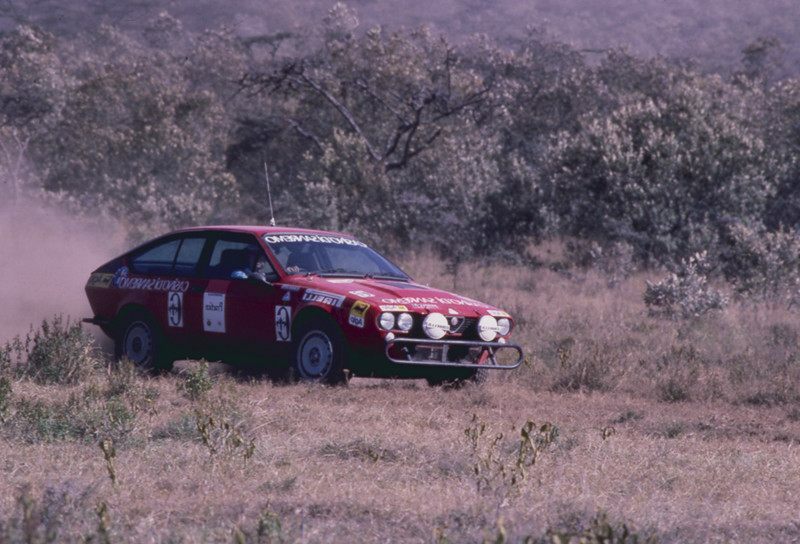 Carlo Chiti, who had continued to remain involved in the engineering aspects of the Alfa Romeo racing program despite also managing the Autodelta race team, took particular interest in the continued development of the 33- series racer. 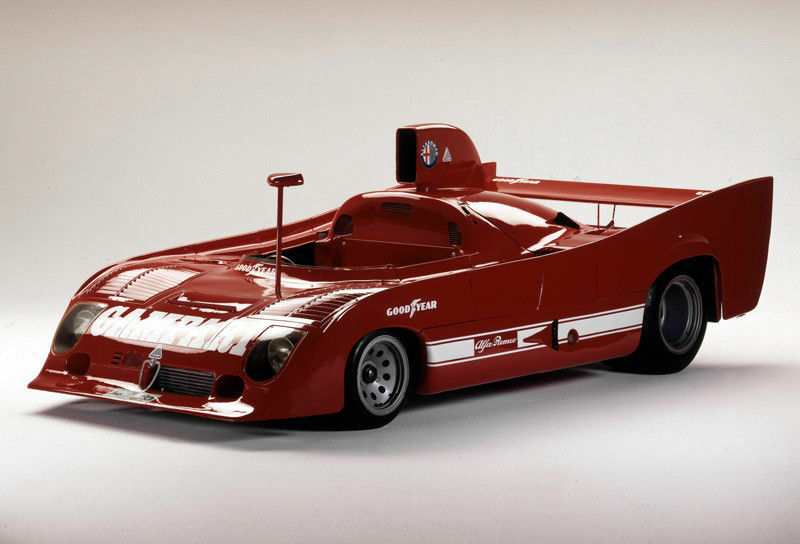 In 1973, Chiti developed a new prototype of the Alfa Romeo racer known as the 33TT12. The TT, which stood for “Telaio Tubolare,” featured a unique tubular chassis. The car came equipped with a Chiti-designed 3.0L flat engine that produced 500 brake horsepower. As the car was developed during the 1973 racing season, it did not make an appearance on the racing grid until the following year. However, in 1974, the 33TT12 won at the Monza 1000km and finished in second place overall in the 1974 World Sportscar Championship. The following year however, would see Alfa Romeo return to the winner’s circle repeatedly throughout the 1975 racing season. 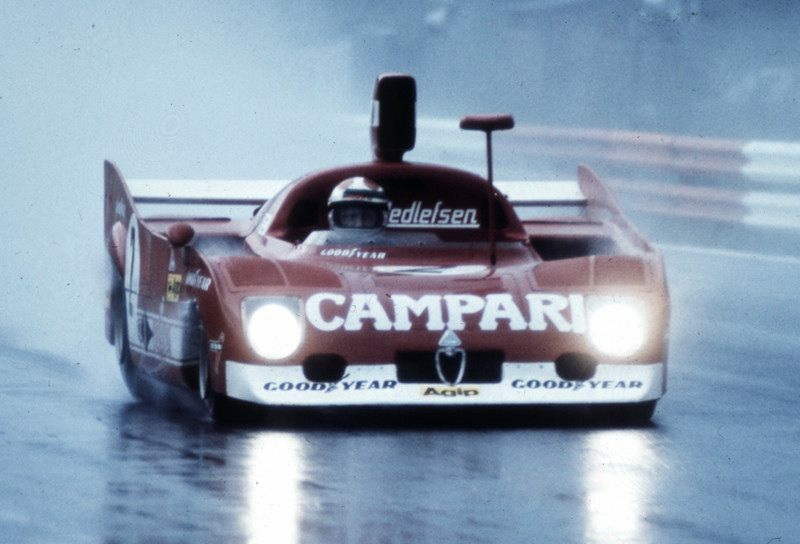 The 33TT12 won seven of the eight races that it competed in that year, including the 1975 World Sportscar Championship, which was the first time that Alfa Romeo had ever won that event. The car was piloted by some of the elite drivers of that year including Arturo Merzario, who had driven the car to four of those victories. In 1976, the successor the 33TT12 was the 33SC12. The SC, which referenced the Scatolato (or boxed chassis), used a slightly modified version of the 3.0L flat-12 engine that had been previously used in the TT12 platform. Now producing 320 bhp (390 kW), the 33SC12 continued to dominate where the TT12 had left off. The 33SC12 won the 1977 World Sportscar Championship, sweeping the entire series with victories at each event that year. On the Salzburgring, the 33SC12 achieved an average top speed of 126.6 mph (203.82 km/h). At the same event, Arturo Merzario also tested an 33SC12 which had been fitted with a twin-turbocharged engine producing 640 horsepower. While the car did not win that event, its appearance on the track marked Alfa Romeo’s first official entry of a twin-turbocharged racer at a sanctioned race event. Moreover, the twin-turbocharged flat engine would later be used to power the Brabham-Alfa BT45, BT46 and Alfa Romeo 177 F1 series cars. The evolution of Formula 1 racing brought with it a demand for faster cars which, in turn, meant a demand for more powerful engines. In 1976, having witnessed the performance of the Alfa Romeo 33SC12, Brabham Motor Racing Developments, a British racing car manufacturer and Formula 1 racing team, approached Alfa Romeo about the possibility of using their 12-cylinder, 3000 cc boxer engine to power Brabham’s race cars. Alfa Romeo agreed to the venture and supplied Brabham with the power flat-12 boxer engine equipped with a Spica fuel injection system to create an engine platform that produced 500 horsepower at 1500 rpm. Despite the fact that the engines were donated to Brabham for use in their new BT45 race cars, the engines themselves proved to be excessively heavy and surprisingly unreliable. The Brabham racers struggled in both the 1976 and 1977 racing seasons, running near the rear of the back of the field both years. In 1978, the Brabham BT46B-Alfa Romeo was introduced with several new technologies to overcome the weight and the packaging difficulties caused by the integration of the Alfa Romeo engine into the Brabham chassis. Brabham motorsports signed two-time Formula One champion Niki Lauda from Ferrari to drive the new BT46. While the 1978 season was dominated by the Lotus 79 “Wing Car”, Lauda did succeed in winning two races in the BT46, including one in the infamous “Fan Car” version of the racer. 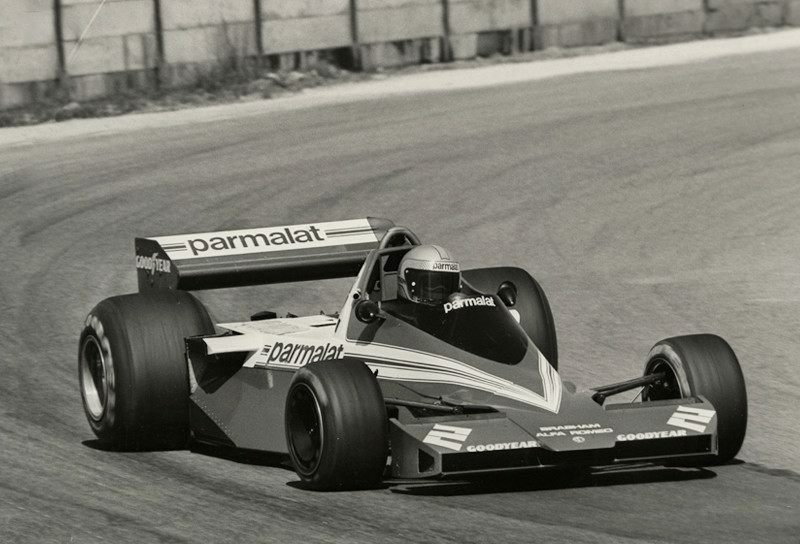 In 1979, the partnership between Brabham Racing and Alfa Romeo ended, with each manufacturer seeking other ventures/opportunites within the Formula 1 circuit. For its own part, Alfa Romeo took the knowledge gained during those three years to begin developing its own Formula 1 racer car. From 1979 on, the development of engine and racing technologies within the Alfa Romeo brand was met with mixed results. 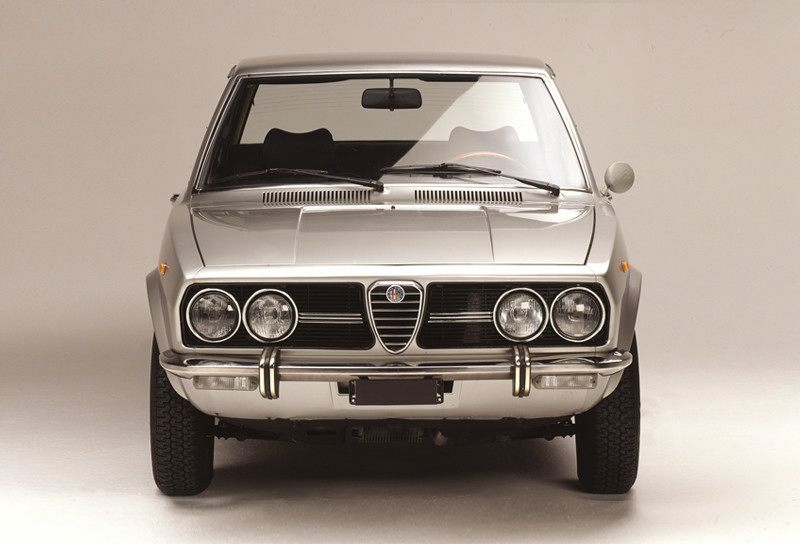 In 1981, Alfa Romeo introduced a V6 engine that transformed the Alfetta coupe into a supercar. The car achieved success by winning in Turismo-class competitions held in Europe as well as garnering considerable attention with its successes while racing in the United States. Despite this, Alfa Romeo was once more in considerable financial trouble and creative measures were attempted to try and bolster the company. An unsuccessful joint venture with Nissan, which had been endorsed by Ettore Massacesi of Alfa Romeo’s parent company, the Istituto per la Ricostruzione Industriale (IRI), and the Italian Prime Minister Francesco Cossiga, forced the former company to begin considering the sale of Alfa Romeo. By 1986 the IRI was suffering heavy financial losses and IRI president Romano Prodi officially put Alfa Romeo up for sale. Finmeccanica, the mechanical holding arm of IRI, had owned Alfa Romeo since 1932. Recognizing the decade long history of the company and the strong sense of Italian nationalism that Alfa Romeo had instilled in its fans and patrons throughout the 20th century, Prodi first approached fellow Italian automotive manufacturer Fiat about buying the Alfa Romeo Brand. Instead, Fiat offered to start a joint venture with Alfa Romeo. Prodi was initially skeptical of the idea, citing that there had been strained industrial relations between Northern and Southern Italy. Given that Fiat was based in Turin and Alfa Romeo had been based in Milan, Prodi felt that such a venture would not pan out well for either company. Fiat withdrew its offer for a joint venture when the Ford Motor Company presented an offer to acquire part of Alfa Romeo. Ford intended to restructure the company, and increase its stake over time, which meant that a number of Italian workers would find themselves laid off and out of a job. Fiat returned to the negotiations with a bid to acquire the entirety of Alfa Romeo. As part of their bid, they offered job guarantees to all of Alfa’s Italian workers. This was an offer that Ford was unwilling to match. Both Alfa Romeo and Fiat recognized that the Fiat’s acquisition of the company would ensure that Alfa Romeo remained in Italian hands. In 1986, the deal was concluded between the two companies, and Alfa Romeo merged with former rival Lancia (also owned by Fiat) to become Fiat’s Alfa Lancia Industriale S.p.A. Alfa’s Design Center was moved to an industrial complex in Arese, near Milan, Italy. Managed by Walter de Silva, the center would go on to handle significant projects including the development of the 145, the Proteo and Nuvola prototypes, the 164, the 156, the 147 and the MiTo. 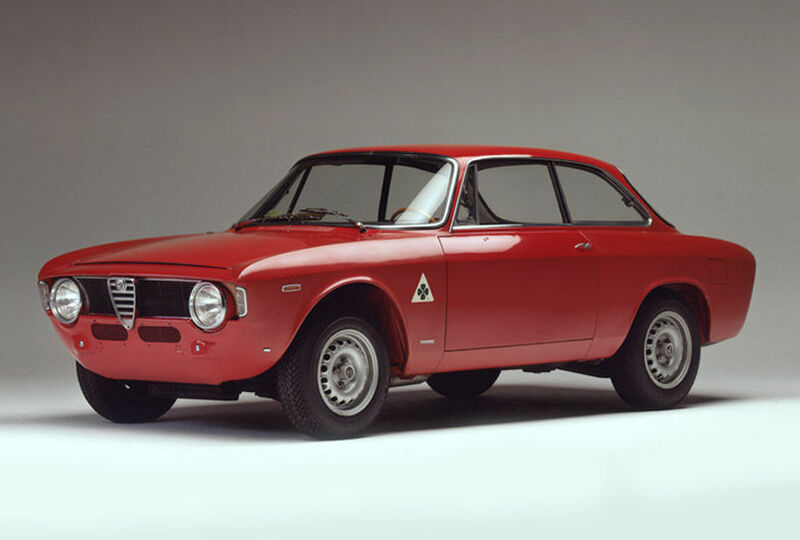 After its sale to Fiat, the first car to be manufactured by the Alfa Romeo was the 164, a four-door executive sedan. 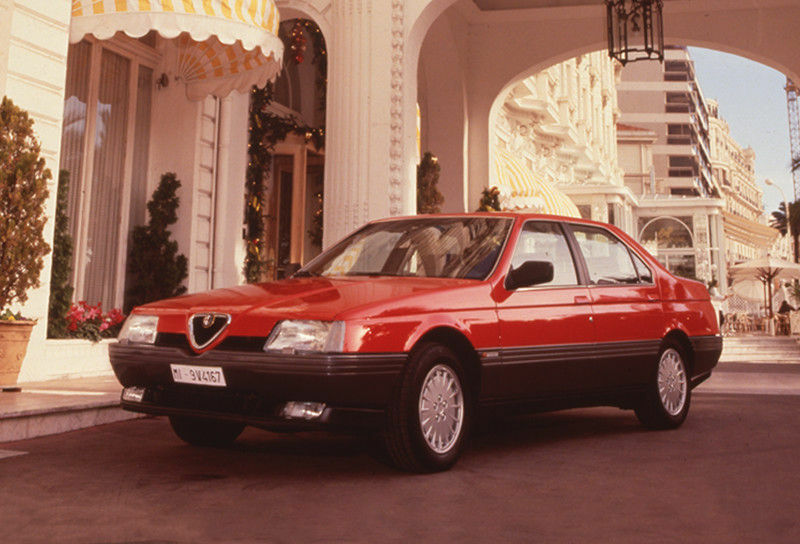 Designed by Pininfarina, the 164 was a top-of-the-line sedan, with a spacious interior, a powerful engine and strong styling cues consistent with the Alfa Romeo line. The 164 was the first Alfa Romeo to be engineered via the use of CAD (Computer Aided Design). The benefit of using CAD was that Alfa’s engineers were better able to calculate the structural stresses that would occur in a very rigid but still relatively lightweight chassis. The 164 also benefited from improved build quality relative to previous Alfa’s, thanks to the extensive use of galvanized steel for the frame and various body panels. This was another first in Alfa Romeo’s history. The car was well received globally, but was especially popular in North America. In fact, the car was so well received in the United States that special versions were produced specifically for the U.S. market. Over the course of the next eleven years, Alfa would produce a total of 273,857 units of the 164 before replacing it with the 166 model in 1998.